No longer developing the Stallion WordPress SEO Theme V7 (no longer selling new V7 licenses). If you are a V7 or earlier user you can download the latest zip file Stallion 7.1.1 zip file and free V7 child themes (see comments for zip file links) and they will work with your Stallion V6/V7 ID associated with your order email address. Stallion V7 is out of date SEO wise, in particular lacks responsive and performance SEO features (these are very important in 2014). There won’t be any new updates after 7.1.1, but the theme still works and you can ask for support via the comments (please state you are a V7 user). If you want the very best WordPress SEO I have a new SEO package Stallion Responsive WordPress SEO Package V8 which includes all important V7 SEO features and new mobile responsive and performance SEO features (and other new SEO features). Stallion Responsive is a new SEO package, there aren’t any discounts to Stallion 7 users. A WordPress child theme is a theme that inherits the functionality of another theme, called the parent theme (in this case the parent theme is Stallion WordPress SEO 7.1.1), and allows you to modify, or add to, the functionality of that parent theme without editing the parent themes files. The above is derived from the WordPress description of what a child theme is/does, Stallion WordPress SEO is more advanced than your average WordPress theme that works with child themes. WordPress is designed to use a child themes template files rather than the parents template files. If the parent theme and the child theme both have a header.php template file the child theme header.php file will be used and the parent theme’s template file will never be used. This allows WordPress users the ability to modify a theme without editing the original (parent) themes files making future updates less painful. WordPress by default doesn’t have this ability for all theme files, only recognised template files like header.php, footer.php, categories.php and the style.css file (the main themes files), if a parent theme includes additional php files a child theme won’t by default override them (it’s a bit of a pain with some themes to override built in code). Most decent WordPress themes include custom php files, css files, images etc… which means with the standard WordPress child theme concept it’s not easy to override most files built into a parent theme. Stallion 7.1.1 is different, over 95% of files in Stallion WordPress SEO 7.1.1 can be easily overwrote by a child theme just by adding the files to the child themes folder (no additional coding involved, it couldn’t be easier). For example Stallion includes various built in plugins like a modified version of the All In One SEO Pack Plugin (under /wp-content/themes/stallion-seo-theme/plugins/all-in-one-seo-pack/) all a Stallion Child Theme developer or Stallion theme user has to do to use a modified version of Stallion’s All In One SEO’s code with their own modifications is create a Stallion Child Theme (download a free Example Stallion Child Theme) and copy the folder /all-in-one-seo-pack/ into the child themes folder (if you use the example child theme the folder is /wp-content/themes/stallion-child-example/) to /wp-content/themes/stallion-child-example/plugins/all-in-one-seo-pack/ edit the relevant files within the folder to your needs and activate the Stallion Child Theme. Your site will use the files under /wp-content/themes/stallion-seo-theme/ (parent theme folder) except for the files you added to the child themes folder /wp-content/themes/stallion-child-example/plugins/all-in-one-seo-pack/. This concept works with almost all php files, exceptions are files under /stallion-seo-theme/ad_includes/ (these files are part of the activation system and shouldn’t be edited) and under /stallion-seo-theme/ files starting ttk*.php, these files are the Stallion options pages, only one of these files can be overwrote ttk_child_functions.php (you will find this file within the example child theme zip file, it holds all child theme options, very important file). All other php files can be overwrote via a child theme. All important css files can be overwrote, the css files related to the layout and colour schemes are found under /stallion-seo-theme/colors/ just copy a file to /wp-content/themes/stallion-child-example/colors/ and the child theme will use that file, if you copy over a colour file also copy over it’s corresponding image folder found under /stallion-seo-theme/colors/images. For example if you planned to edit the Delicate colour scheme you would copy over and modify style-delicate.css and the folder /stallion-seo-theme/colors/images/delicate/ to /stallion-child-example/colors/images/delicate/. The zipped Example Stallion Child Theme includes a complete Stallion Theme directory structure with blank index.php files for basic security (stops visitors viewing what’s inside those folders) so it’s easier to copy and paste single Stallion files into a child theme. Stallion includes a lot of built in colour schemes (27) and a heck of a lot of images: 40 original Stallion header images, 7 Stallion 2011 Header Image Sets (56 images), 13 rotating banner image sets (130 images) and 5 random thumbnail sets (50 images). Child themes now free, see comments for links. timthumb.php – By having the Timthumb.php script here the thumbnail cache folder will be under the child theme folder which means when you update core Stallion you won’t have to set the cache folders permissions again (try permissions 755, 775 or 777). I’ve also included every folder that’s within main Stallion so it’s easier to copy over images and files to modify. All folder include a blank index.php file for basic security (stops people viewing the contents of a folder online). If you are a WordPress theme developer or a Stallion Theme customer making their own child themes you can use the Example Stallion Child Theme zip file to develop Stallion Child Themes for personal use or to sell (sell them, give them away, I don’t mind). The only limitation is on the example image sets, if you leave the Example Images within your Stallion Child Theme leave the relevant copyright notices intact. If you remove the example images feel free to remove the copyright notices. For child themes you plan to sell I do recommend adding copyright notices for images you add even if they are public domain images (an image you make from a public domain image is a derivative work and you own the copyright to that derivative work) or you’ve taken them from a GPL source like a theme from the WordPress Theme Repository (let users know where they came from so they know what they can legally use them for). If you own the copyright adding a basic copyright notice informs the users they have limited rights of use (like they can’t sell them). Because of how child themes work you have to copy some Stallion images, css files and js files to the child theme if a feature you wish to modify uses those files. For example if you use the Photonavigation menu feature and copy over the php files that are used by that feature (found under /stallion-seo-theme/imagemenu/) the images under /stallion-seo-theme/imagemenu/images/ need to be copied into the child themes folder as well (which is why they are part of the example child theme). All Stallion main headers, header sets, banners and thumbnail sets can be overwrote simply by adding images with the same name to the child theme folder. Below are where the files are located in main Stallion. And that’s the basics of Stallion Child Themes. There’s quite a bit of information within the file /stallion-child-example/ttk_child_functions.php that explains how to and new Stallion option/function and override Stallion functions. Is there anyway that I can use a theme that I do have (like a custom theme) along with the Stallion Application/Theme? If you mean use another WordPress theme with Stallion? No, you can only run one theme at a time. In the next update (releasing soon) Stallion becomes a fully fledged WordPress FrameWork Theme which makes creating custom themes (Child themes) much easier to create and use. Stallion already has around 30 custom themes, each colour scheme is in effect a custom theme and if you understand CSS you can already create your own custom colour schemes. But it’s not easy to use, that feature is aimed at advanced users. In the next Stallion release it will be easier, but you still need basic CSS skills. If you have the skills to edit CSS files and can create images you’d be able to create your own Child Themes, how good they’d be depends completely on your CSS and image creation skills. I will be releasing an empty Stallion Child Theme for those looking to create Stallion child themes and create some Stallion child themes with new colours etc… as well (been making lots of banner, header and thumbnails sets). I hope other WordPress theme developers will start creating Stallion Child Themes to sell. I think I’ve made creating a Stallion child theme far easier than seen with other WordPress Theme Frameworks (most files including php and image files can be replaced by a child theme file) and many of the core Stallion features will be usable with the child themes. For example you could create say a Weight Loss Child theme with banners, headers, thumbnails aimed at the weight loss niche and the user could use the child themes new weight loss thumbnails etc… or Stallion core thumbails. Or use any of the Stallion colour schemes with the child themes images and everything inbetween. I for one am looking forward to this. I think the easier you make it for designers the better, that is with hints etc. I think I will try to develop a few. Maybe you write a post on Child themes. To open up the conversation. After I release Stallion 7.1 I’ll prioritize a WordPress Child Theme tutorial. It’s quite simple to use really. I’m going to supply a blank Child theme folder structure (basically Stallion minus most files, so just the folder structure) which Stallion theme users can use. It’s then a case of copying and pasting the files you want from Stallion to edit into the blank child theme folders. Can be as simple as copying one of the css files into the child theme folder and edit it, say you wanted the Delicate colour scheme, but with pink text you would copy the Delicate CSS file and it’s image folder into the child theme folder, make the CSS changes, edit the images (optional), activate the child theme under Appearance >> Themes and it uses the child themes Delicate CSS file and images. Basically Stallion looks for most files (about 95% of files) in the child theme folder first, if it exists it’s used, if not it uses the core files, in this way almost everything can be edited without messing with core files. When main Stallion is updated it won’t over write the child theme files, so maintaining customizations will be far easier. What’s particularly good about the way Stallion 7.1 child themes work compared to how others I’ve looked at is I’ve set Stallion to check almost all php files (only a small number of PHP files can’t be over written), all CSS files and most images. In other themes that will use child themes it tends to only be the core template files (header.php, index.php etc…) and the main style.css file as that’s what WordPress core does with child themes. Any custom php files loaded by a theme have to be recoded manually which doesn’t make for easy child theme development. Take the timbthumb.php script included with Stallion (script for making small thumbnails, saves bandwidth). Add the timbthumb.php file to the child theme folder and the child theme folder /cache/ folder will contain all the cached thumbnails meaning when Stallion is updated using the automated update option you won’t have to set the cache folder permissions again. I’m adding timbthumb.php to the blank child theme I’ll be providing so all child theme users won’t have to keep setting permissions after an update. To achieve this with other themes would require adding a copy of all php files that use timbthumb.php (in Stallion over half a dozen php files) and edit them to use the the child theme version! This works with the images as well without having to do any coding (the child themes I looked at would require PHP code editing). If you just wanted to replace an image thumbnail image set or add a custom set, you’d add it to the child theme folder and Stallion will use it rather than the original images. This means you could completely replace say the TwentyEleven header images with 8 of your own or add 8 to a custom folder and they will be used. The above is basic customization that anyone who adds customizations to Stallion should use, not creating new child themes per se. Then there’s actual child themes. There’s a new Stallion options page – Child Theme Options which currently has 7 options, Layout, Colour Scheme and options related to the header images, banner images and thumbnails. These are the most likely options that will be changed by a child theme, if a developer wanted to make a 500px wide sidebar layout version of Stallion this is where the option would be added. In principal all Stallion options (over 300 of them) can be over written or added to via the new option page, with basic PHP skills a new feature could be added to Stallion via a child theme or a current feature changed without touching core Stallion files or having to be an expert PHP coder to work out how to replace a function: I was reading about the troubles some Thesis developers have to go through to remove Thesis features in their Thesis child themes and it will be much easier with Stallion 7.1. I’m working on a TwentyTen child theme which includes the TwentyTen colour scheme (not exactly the same, based on TwentyTen) a unique header, unique header set, unique thumbnails. By installing this child theme it’s Stallion with the TwentyTen look and new sets of images. On the Child Theme Options page users will be able to select the TwentyTen colour scheme and the unique images or via the original Stallion options pages use the original settings. You could have the TwentyTen look with any of the current Stallion image sets or a mix of Stallion and the child themes images. Anyone will be able to create a Unique Child Theme Options page with basic PHP skills, the hard part for creating a real child theme (one that looks different) is the CSS and images. I’ve installed your basic free child theme for my own modifications. Now the theme is called “example*” something, with references to “style-example-st.css” asf. What do I need to do to give it a proper name like “mybestblue” and also have the files and pictures called accordingly? Simply rename the theme folder and those files concerned? The Example Stallion Child Theme can be used as is or changed to your needs, all depends on your plans. If you plan to create a unique Stallion Child Theme and want to sell it to others it’s highly recommended you rename the folder and the name of the child Theme from Example to something relevant. I know I’ll never use that folder name and highly unlikely anyone else will, so if a customer bought multiple child themes from various sources there shouldn’t be a clash installing them all on one site. And added to the Example Child Theme files, so the Example images and css file and folders are still there. When I create more child themes I’ll add the extra files and settings to my personal Stallion child theme so all the theme colours, images sets etc… are available in one child theme for all my sites. 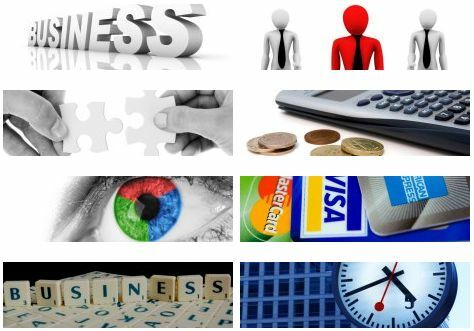 Some of my sites are using the Business niche 2011 header set, the business niche thumbnails set for the main thumbnails and a technology niche thumbnail image set (one I’ve not added to a child theme for sale yet) for one of the widgets thumbnails (Popular Articles Widget). Stallion child themes allows for mixing the images and colour schemes up a lot. I am bought the child theme for business and would like the Title to show in Bold how do I handle this. I have tried several different colors and can not seem to have the title show up well. Problem is you’ve selected a white background header image which doesn’t work very well with the dark background business colour scheme. It’s a nice a header image as well, I use it with the built in lighter Stallion colour schemes. Currently there’s no option to change font colours via an easy to use options page (something I want to add in a future update), there is a work around (see later). Easiest solution is choose a different header image with a darker background. Change the two color: codes (this bit #eee) to whatever colours you want (loads of websites online with websafe color codes, #000000 is black for example), first one is non-hoverover and the second is hoverover. on the “Stallion All In One SEO” Options page (under the Stallion menu when under Stallion >> SEO Advanced options page “Stallion All in One SEO ON” is set. Box and change the color codes to the colours you want. The above technique can be used to override pretty much anything you find in the /stallion-child-business/colors/style-business-st.css file, you basically copy the CSS styles you want to change and add the bits you want to change into the sitewide headers box between the style code. Above I only added the color code since we weren’t trying to change the text-decoration (which is set to none, if you wanted underlined you would add text-decoration: underline;). 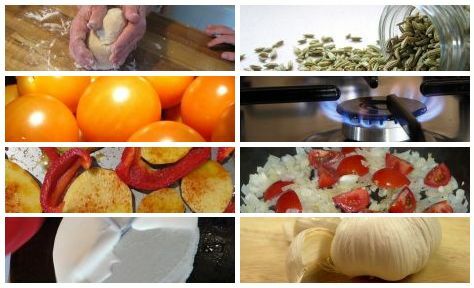 The Cooking niche theme below requires a copy of the Stallion WordPress SEO Theme version 7.1 or higher installed, Stallion can be purchased from the Stallion Theme website for $20. 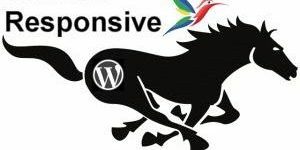 Please note Stallion Child Themes DO NOT work if the Stallion WordPress SEO Theme (version 7.1+) is not installed on the website. This comment shows some of the Stallion WordPress Child Theme Cooking Niche features, the white and blue colour scheme used on this post is the Cooking Niche Colour Scheme. What you see on this post is achievable using the Stallion WordPress SEO theme and the Stallion WordPress Child Theme Cooking Niche. A white and blue colour scheme. There are 3 new Stallion Original Header Images within the Stallion Cooking Niche Child Theme. This post is using one of the Cooking headers. Some of the 3 Cooking headers won’t work well with the new light and blue Cooking colour scheme, they are included so you can use them with other Stallion Colour Schemes. Remember installing a WordPress child theme does not limit you to ONLY using the new colours and images, you can mix and match original Stallion Theme features with the new Stallion child theme features (child themes ADD to Stallion). 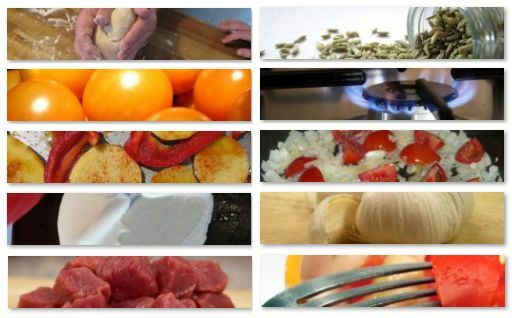 There’s one new Stallion 2011 Header Image Set with 8 header images within the Stallion Cooking Niche Child Theme. There’s one new Stallion Thumbnail Image Set with 10 thumbnails within the Stallion Cooking Niche Child Theme. Since the random thumbnails are used on archive pages (categories etc…) they aren’t shown on this post. There’s one new Stallion Banner Image Set with 10 Banners within the Stallion Cooking Niche Child Theme. Since the random Banners are used on archive pages (categories etc…) they aren’t shown on this post. Note: this is NOT a Stallion Responsive Child Theme, there’s a similar colour scheme built into the free Stallion Responsive child theme which requires a copy of Stallion Responsive. The China Travel niche theme below requires a copy of the Stallion WordPress SEO Theme version 7.1 or higher installed, Stallion can be purchased from the Stallion Theme website for $20. Please note Stallion Child Themes DO NOT work if the Stallion WordPress SEO Theme (version 7.1+) is not installed on the site. This comment shows some of the Stallion WordPress Child Theme China Travel Niche features. A dark charcoal and orange colour scheme as seen on this post. 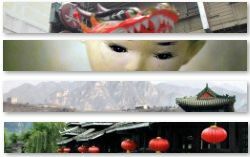 There are 4 new Stallion Original Header Images within the Stallion China Travel Niche Child Theme. This post is using one of the headers. Some of the 4 China headers won’t work well with the new dark and red China Travel colour scheme, they are included so you can use them with other Stallion Colour Schemes. 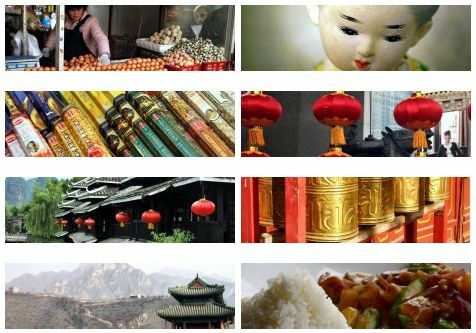 There’s one new Stallion 2011 Header Image Set with 8 header images within the Stallion China Travel Niche Child Theme. 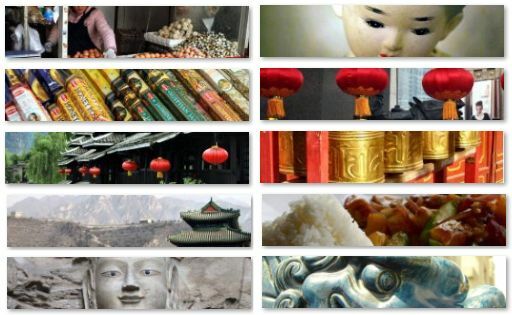 There’s one new Stallion Thumbnail Image Set with 10 thumbnails within the Stallion China Travel Niche Child Theme. Since the random thumbnails are used on archive pages (categories etc…) they aren’t shown on this post. There’s one new Stallion Banner Image Set with 10 Banners within the Stallion China Travel Niche Child Theme. Since the random Banners are used on archive pages (categories etc…) they aren’t shown on this post. The business niche theme below requires a copy of the Stallion WordPress SEO Theme version 7.1 or higher installed, Stallion can be purchased from the Stallion Theme website for $20. This comment shows some of the Stallion WordPress Child Theme Business Niche features. A dark charcoal and orange colour scheme. 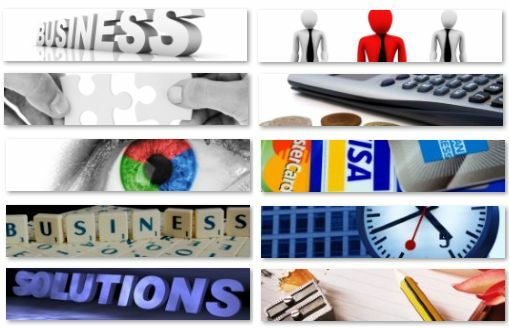 There are 5 new Stallion Original Header Images within the Stallion Business Niche Child Theme. This post is using one of the business headers. Some of the 5 business headers won’t work well with the new dark charcoal and orange business colour scheme, they are included so you can use them with other Stallion Colour Schemes. The eye header image for example works really well with the white colour schemes like Stallion Delicate which is what I’m using on the home page of this site. 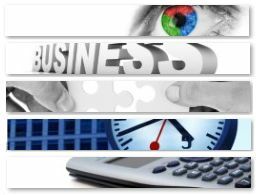 There’s one new Stallion 2011 Header Image Set with 8 header images within the Stallion Business Niche Child Theme. There’s one new Stallion Thumbnail Image Set with 10 thumbnails within the Stallion Business Niche Child Theme. Since the random thumbnails are used on archive pages (categories etc…) they aren’t shown on this post. There’s one new Stallion Banner Image Set with 10 Banners within the Stallion Business Niche Child Theme. Since the random Banners are used on archive pages (categories etc…) they aren’t shown on this post.